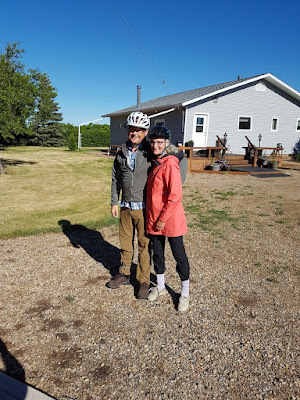 We made an egg breakfast in the Prairie Skies kitchen and had a good visit with Evelyn, who was headed out to set up for a children's craft class (Father's Day cards) at the Herbert library where she works. 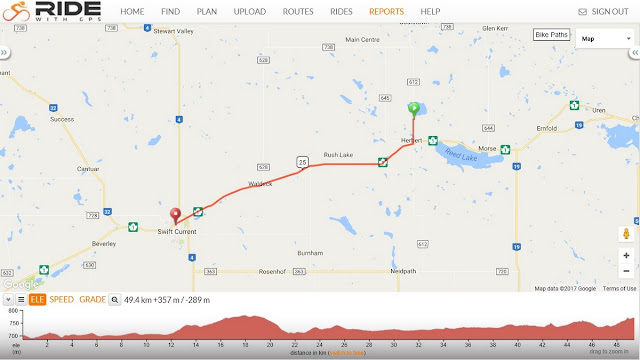 Strong winds from the West and blasting gusts made this day of 50Kms as strenuous as the 133Kms yesterday. We feel that we have never worked so hard, especially against wind gusts that sometimes simply stopped the bike as we peddled along. At one point, Y stopped to take off her wind breaker, which was acting like a break (note to self for the downhills in the Rockies), and the wind tossed her bike on the ground. 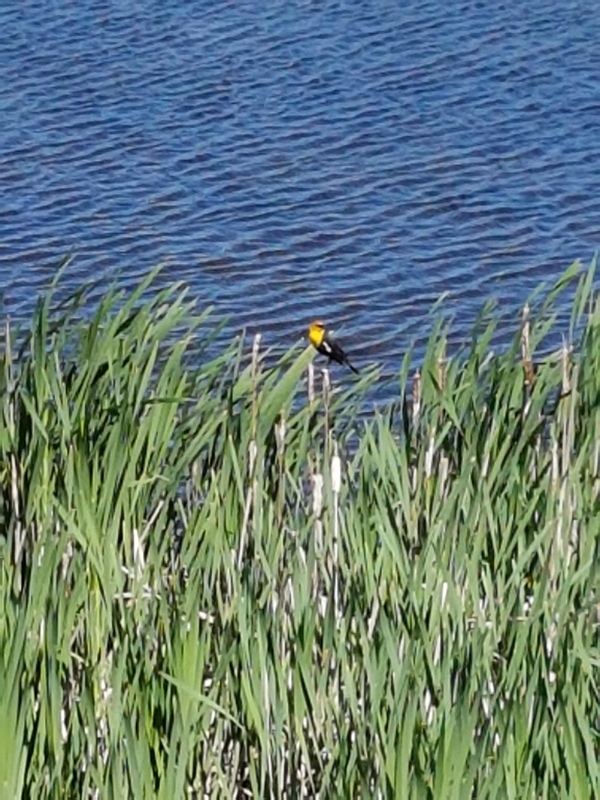 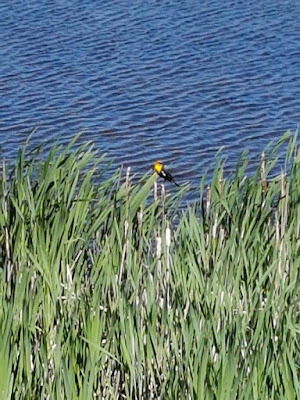 After stuffing away her wind breaker, uprighting her bike and straightening out her handle-bars, she was treated to a close view of a yellow-headed black-bird in a road-side pond. Despite the wind, we kept our spirits up, and made it to Swift Current by 1pm and the hotel had a room ready for us right away, although check-in was not until 4pm! 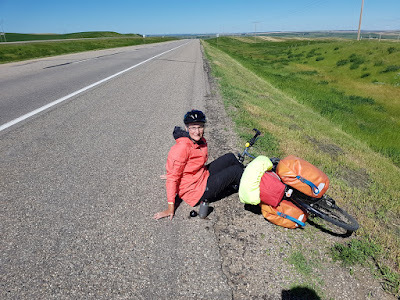 B found another unattached American Dog Tick on himself today (maybe from one of our "Saskatchewan rode-side rest stops", which involve leaning our bikes on the highway shoulder and sitting on the road, away from the grass to take a bit of a break). Tomorrow is a day of computer work for Y and bike tasks for B, so we needed the shorter ride today, though we didn't expect to be so spent by a 50Km ride! 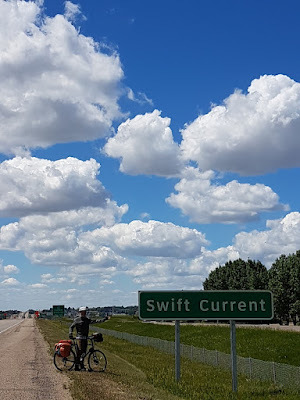 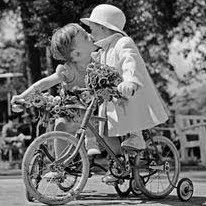 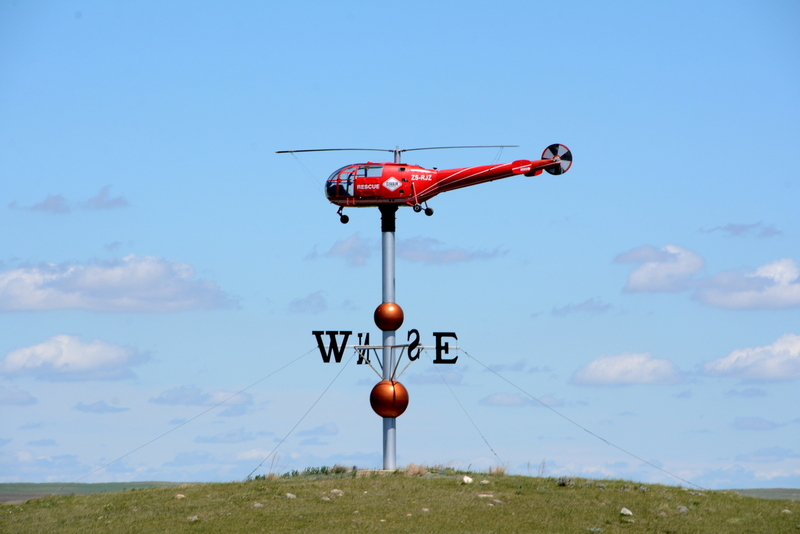 Happily the wind is predicted to be from the West on Monday and Tuesday for our pedals from Swift Current to Medicine Hat.